There is no denying the fact that Pandora holds a prime position in the online radio market. But even then the company has been struggling to make profits. Rising costs related to licensing, footprint expansion and higher operating expenses will continue to be a drag on profitability. Also, competition is intense. The digital music streaming industry is expected to grow rapidly over the next few years, and hence all the players including Pandora, Apple, Spotify, and Amazon are striving to fortify their presence. So, it will be a challenging task for Pandora to operate as a stand-alone company and turn things around. Therefore, in our opinion, a merger with Sirius may help it in reviving its business. The combined company will be able to enhance their premium satellite receiver-based offerings. The merger will also enable Pandora to get a bigger foothold in cars and help Sirius to expand its Internet and mobile presence. The state's highest court rejected a lawsuit brought by members of 1960s band The Turtles against SiriusXM claiming that the satellite radio provider committed copyright violations by playing the band's music, including hit "Happy Together," without permission. In a majority decision that carefully settles the matter at hand but leaves it to the Legislature to address a major question about state copyright protections in the digital music age, four justices agreed that state law does not afford public performance rights to performers of music recorded before 1972. Had the Turtles' music in question been recorded after that year, however, federal protections would exist. A fifth judge issued a concurring opinion. Two judges dissented. The case was sent to the state Court of Appeals from a federal appeals court because in creating the federal Digital Performance Right in Sound Recordings Act in 1995, Congress allowed non-conflicting state copyright statutes to apply to songs recorded before Feb. 15, 1972. In the majority decision, written by Judge Leslie Stein, the justices held that even if state law included a right to control public performance, "the copyright holders have gone decades without acting to enforce that right." "Participants (in the music industry) have co-existed for many years and, until now, were apparently 'happy together,'" Stein wrote. "While changing technology may have rendered it more challenging for the record companies and performing artists to profit from the sales of recordings, these changes, alone, do not warrant the precipitous creation of a common-law right that has not previously existed." "Simply stated," Stein continued, "New York's common-law copyright has never recognized a right of public performance for pre-1972 sound recordings." The majority opinion puts it on the state Legislature to make changes to recognize a right of public performance for such recordings. In the dissent, Judge Jenny Rivera wrote that state law best serves both the musician and the public by tracking federal public performance right for post-1972 recordings. "Extending to pre-February, 15, 1972 sound recordings protection that is at least equivalent to the federal right recognized in the post-1972 works allows us to treat both classes of sound recordings equally and avoids enhanced rights for one based not on a considered reason but on an arbitrary date," she wrote. The decision comes less than a month after Sirius settled — three, including the New York lawsuit, were filed — with Flo & Eddie Inc., a company run by two members of the Turtles, agreeing to pay $99 million. At the time, the New York Times reported that Sirius agreed to pay a minimum of $25 million for past unlicensed use of pre-1972 recordings and up to an additional $15 million depending on whether the Turtles prevailed in New York and Florida courts. Sirius also agreed to pay royalties as part of a licensing agreement with owners of various recordings made before 1972. The satellite radio provider's New York victory means it will not have to pay an additional $5 million toward the settlement, and the royalty payment rate will be reduced from 5.5 percent to 3.5 percent, Sirius attorney Daniel Petrocelli said. He said that rate is subject to further reduction if Sirius also wins in California and Florida. Fortune reported that the Turtles won the first round of their legal challenge in California, while Sirius appears to have the advantage in Florida. An attorney for Flo & Eddie Inc. could not be reached Wednesday. Flo & Eddie Inc. also has a similar lawsuit pending against internet radio provider Pandora. After months of bumpy courtship, SiriusXM Holdings (SIRI) , the satellite-radio operator, agreed to buy a minority stake in Pandora Media (P) , the world's largest internet radio platform for $480 million, the companies announced on Friday. As a result of the deal, which isn't expect to close until the fourth quarter, money-losing Pandora called off its earlier agreement with Kohlberg Kravis Roberts (KKR) , the giant private-equity firm, for $150 million in financing. Pandora will pay KKR a $22.5 million break-up fee. Sirius bumps All Access price by $1 per month. Also increases streaming add-on to $5. Sirius XM Holdings (SIRI) raised some of its pricing plans. The company's most expensive plan - All Access (which includes Internet streaming) - was increased by 5% from $19.99 to $20.99, while its second most expensive plan - Select - was left unchanged at $15.99. Mostly Music at $10.99 was also left unchanged. The company has listed All Access, Select and Mostly Music as its most popular plans. Also increased was the Internet Streaming add-on which went from an extra $4.00 per month to an extra $5.00 per month. Note that anyone that was interested in Select with the streaming add-on would pay the same amount as All Access, both before and after the price increases. And, it appears that there were simultaneous content changes to the pricing plans. For instance, All Access subscribers still get additional channels - Major League Baseball, the NBA and PGA Tour, but previously the three additional channels were NASCAR, Howard Stern and the NFL. These are now included in Select where previously one had to get all access to have these three channels. For those only interested in music, the Mostly Music package is a cheaper alternative at $10.99. However, it excludes several of the more popular music channels, including The Beatles, E Street Radio, Grateful Dead, Garth Brooks and Tom Petty. Sirius also publishes a chart showing the monthly Music Royalty Fees. There are a total of 40 different packages shown on the chart, and one can find that the All Access Music Royalty Fee has also been increased as of November 15th. This monthly rate also rose 5%, from $2.78 to $2.92. The total for All Access is now $23.91 plus taxes and fees, nearly double the pre-merger monthly rate of $12.95. We now support Apple CarPlay! Connect your phone in your car and tune to channels, on demand episodes, favorites, and more right from your built-in display. If your vehicle already has CarPlay, just download the app. If you don’t have it, you can fit your vehicle with a CarPlay receiver to get commercial-free radio. Download the Sirius app from the App Store. SiriusXM and FCA US LLC announced today that SiriusXM's next generation of in-car audio entertainment – delivering a personalized listening experience, with more variety, smart content recommendations and on-demand audio, all through a new best in class user experience in the vehicle – is available to customers for the first time ever, making its debut today in the all-new 2019 Ram 1500 truck. Drivers of the all-new Ram 1500 are the first to have access to SiriusXM with 360L, a new platform that for the first time delivers a "360 degree listening" experience to drivers and their passengers via both satellite and streaming, and offers exciting new features and functionality in the vehicle and beyond. SiriusXM with 360L, which is available on the Ram 1500's Uconnect 4C NAV with 12-inch display with a SiriusXM All Access subscription, can also receive over the air updates to add features and functions that improve the user experience. SiriusXM with 360L delivers SiriusXM's full lineup of more than 200 channels, while enabling the user to enjoy a more personalized "lean back" experience as SiriusXM serves them content recommendations on their touch screen, based on their listening preferences. Drivers and their passengers will find it easier to discover more of what SiriusXM offers, including exclusive SiriusXM On-Demand programming never before available in the dash. For example, a subscriber listening to one of Howard Stern's channels live may be presented with the option of tuning in to Howard's recent interview with Bono and The Edge of U2, which in turn may lead to a recommendation for SiriusXM's The Spectrum channel, and it is all available at their fingertips. "We think SiriusXM with 360L will revolutionize the way you listen to audio in the car, and we are excited to launch it in the all-new Ram 1500, which once again is a leader in bringing the latest technological advancements to drivers," said Jim Cady, Executive Vice President of Products, Operations & Connected Vehicle Services at SiriusXM. "SiriusXM with 360L comes along at a time when embedded connectivity is enhancing the in-vehicle entertainment experience for more and more drivers and their passengers. We are using that connectivity to take a giant step forward with our platform, and SiriusXM with 360L improves both our consumer offering and our ability to understand and serve our subscribers. With a better, more adaptable user interface, it allows easy access to content on demand, more personalized programming and an improved display. It will also enable us to understand user behavior, and so over time be better at recommendations and discovery across our wide bundle of content." More channels (now 200+) available to listeners on their in-dash Uconnect 4C NAV with 12-inch display, including many channels previously only available online. Access to thousands of hours of recorded on-demand shows, interviews, and events in the car, giving the listener more of what they want, when they want to hear it. Enhanced sports play-by-play offering that makes it easier to find the listener's favorite team when it is game time, and gives them access to the official broadcasts for more pro and college teams. Smart content recommendations enable listeners to discover more of what they love, based on listening habits, and it is all served up on screen in an easy to use way. Dynamic user interface allows for easy navigation between channels, shows, and both live and recorded content. Individual listener profiles allow multiple drivers and passengers to customize and maintain their own presets and favorites. Profiles can be synced with listener's mobile phone to seamlessly access their favorites and pick up listening where they left off in the car on select content. Drivers and passengers can use their voice to search SiriusXM's extensive library of content, or they can sit back and let "For You" recommendations serve up great content choices. Subscribers can manage their account, renew their subscription and contact SiriusXM through the touch screen on the dash when their vehicle is parked. SiriusXM with 360L can receive over the air updates so users can conveniently get new features at any time. Ram 1500 owners will receive a one-year subscription to SiriusXM All Access with the purchase of equipped 2019 model vehicles. SiriusXM subscribers get a wide-range of exclusive music and entertainment, including Howard Stern's two exclusive channels and hundreds of hours of on-demand Howard Stern shows, interviews, classics and specials; more than 85 commercial-free music channels from multiple genres; an extensive schedule of live games and events from professional and college sports; sports talk from some of the biggest names in broadcasting; plus news from respected national outlets; exclusive talk and entertainment; and a broad range of comedy. SiriusXM showcases exclusive artist branded music channels from The Beatles, Bruce Springsteen, Eminem, Garth Brooks, Tom Petty, Pearl Jam, Kenny Chesney, Pitbull and many more. Its expertly curated channels play music from multiple decades and genres that span rock, pop, country, hip hop, dance, jazz and more. Subscribers can also access concept-based channels curated by SiriusXM's acclaimed programming team, such as The Coffee House, SiriusXM Chill, Road Trip Radio, Yacht Rock Radio, and The Covers Channel. Sirius XM Holdings Inc. agreed to buy online-music firm Pandora Media Inc. for $3 billion, as the satellite-radio company looks to add streaming services in the increasingly competitive fight for listeners. The all-stock deal would create an audio-entertainment company with a market value of around $30 billion, rivaling music-streaming market leader Spotify Technology SA. When SiriusXM completed its $3.5 billion acquisition of Pandora in February, the satellite radio broadcaster promised to bring together the best of both services with "new, unique audio packages." 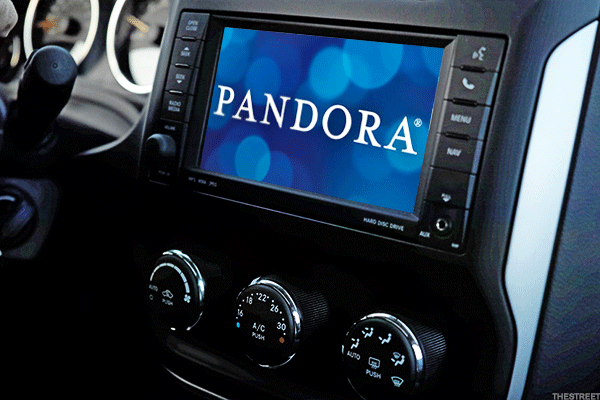 SiriusXM on Thursday announced the first of these hybrid products: Pandora NOW. The new Pandora station, which features some of the most popular new music on the internet radio service, is broadcast simultaneously on a SiriusXM satellite radio channel. "We're excited to combine, for the first time, the wealth of Pandora listener data with the proven curation expertise of our SiriusXM team,” said Scott Greenstein, President and Chief Content Officer at SiriusXM. Pandora listeners can find the new station by searching for “Pandora NOW,” and can skip and rate songs while listening. The station also appears as a continually-updated playlist on Pandora Premium, the company’s on-demand streaming music service. SirusXM subscribers can tune in to Pandora NOW on Channel 3. Venus, the rhythmic pop station that previously occupied that frequency, has been bumped to Channel 303. Some fans of Venus have taken to Twitter to lament its relegation to online streaming and select radio devices. You've long been able to listen to SiriusXM — that is, satellite radio — outside of your car. But such streaming has always been part of a traditional satellite package. SiriusXM now has a new "Essential" streaming-only plan that aims to give you exactly what you want, the way you want it — and at a comparable price. The new Essential plan is just $1 for the first three months, and is $8 a month after that. That works out to about $75 for the first year. And that's not a bad price at all. But if you're not listening in the car, what can you use for this new Essential service? Just about anything, really. There's the SiriusXM app on your phone or tablet. There's the web player. And there are all kinds of smart home devices, like Amazon Alexa and Fire TV, Chromecast, Roku, Apple TV, Smart TVs, Sonos, Xbox, PlayStation and more. If you've got something that connects to the internet and does some kind of entertainment-type thing, there's a pretty good chance there's a SiriusXM app for it. And that means you'll be able to use this new Essential plan. So what all do you get? More than 300 channels — two-thirds of which are music. You'll also get plenty other other entertainment channels, including a wealth of sports talk. What's missing? Howard Stern's two full-time channels. You'll have to pay up for the full Premier plan for that. But if all you want is the best of SiriusXM, wherever you want to listen to it, this isn't a bad deal to check out at all.